A catastrophic flu swept across the world in 1918, killing 675,000 in the US in a few weeks and 25 million worldwide. It struck young adults between ages 20-40 particularly harshly, orphaning thousands of children and spreading rapidly in immigrant communities like Boston’s North End, where hardworking people lived in extremely close quarters. Enter Fr. 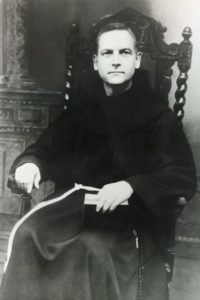 Antonio Sousa, pastor of St. Leonard’s Church (the first Italian parish in New England) who made the plight of these orphaned children the subject of sermons and many letters to other Italian churches throughout the Archdiocese of Boston. Heeding his call, in October, 1919, 42 prominent Boston Italian-Americans incorporated an organization called the Home for Italian Children. A fundraising campaign led to the purchase of a 10-acre farm in Jamaica Plain that became the organization’s current location. 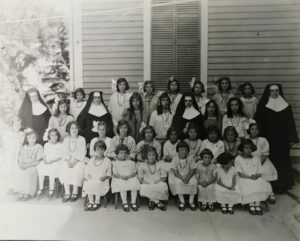 Cardinal William O’Connell, archbishop of Boston, arranged for Sr. Mary Valentina, a Missionary Franciscan Sister of the Immaculate Conception and a teacher at St. Anthony’s in the North End, to operate the Home with six members of her order. While it began specifically to serve Boston’s orphaned Italian-American children, today the Italian Home is one of the few agencies nationwide serving children of all races and nationalities to reach the 100-year landmark. It is also the only residential child welfare program remaining in the city of Boston. Its services include a therapeutic school as well as community-based programs to help children progress in school and flourish at home. The same compassion that fueled establishment of the Home in 1919 compels every staff member, volunteer, and donor at the Italian Home today. For each child living in fragile, chaotic circumstances entrusted to our care, our goal is the same as it was 100 years ago: to provide children with the safety and stability they need to reach their full promise. For information about our 100th anniversary, click here. To read more about the history of Italian Home for Children, click here.